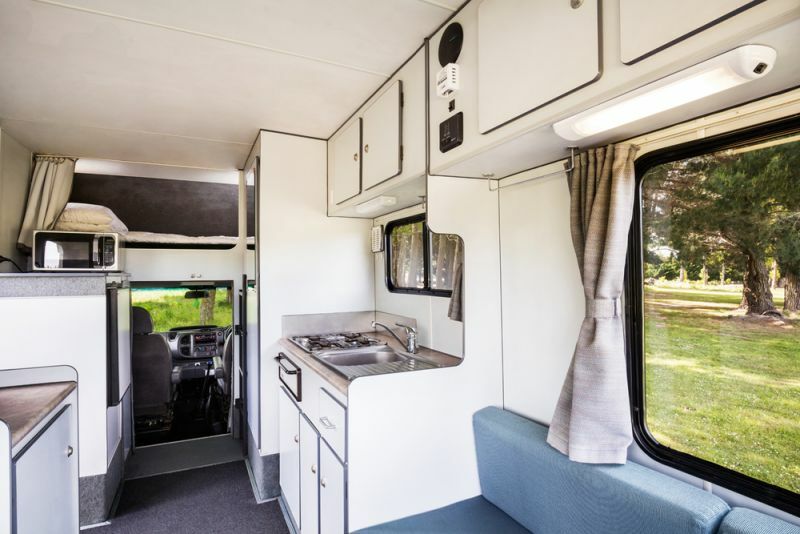 Four people and 1 child can enjoy excitement, adventure and all the comforts of home when travelling around New Zealand in the Freedom Path Escape campervan. 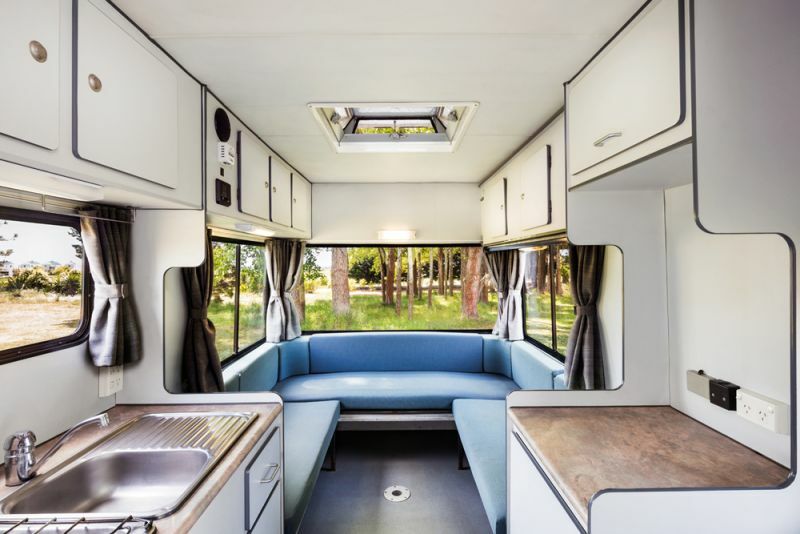 The Path Escape features a permanent double bed over the driver's cabin, and large queen size bed that converts from the dining area. 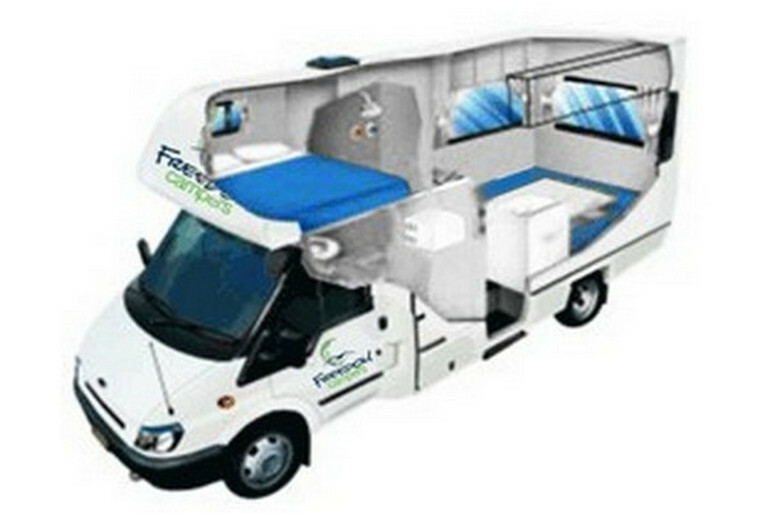 The vehicle offers many quality features including fridge, gas heater, gas stove, microwave, pressurized hot and cold water, shower and toilet. The living equipment is all on board as well, with crockery, cutlery, duvets, linen, towels, pillows and more all provided. A CD/radio in the driver's cabin and heating throughout add to the enjoyment. It's a great way to see the real New Zealand. Seating configuration: Seatbelts for two in the driving cab and seatbelts for three in the living area. Baby Seat:Baby seats are fitted in the rear dining area and are sideward facing with lap belts and tether clip. Radio/CD: Radio/CD player, speakers in driving cab and living area. Air Bags: Two air bags for the two front seats. Engine specifications: 2.4 litre turbo diesel. Tyres: Tyre pressures should be checked regularly. This vehicle has dual rear wheels for stability. Tools: The tool kit is located under the driver's seat in the step weld. 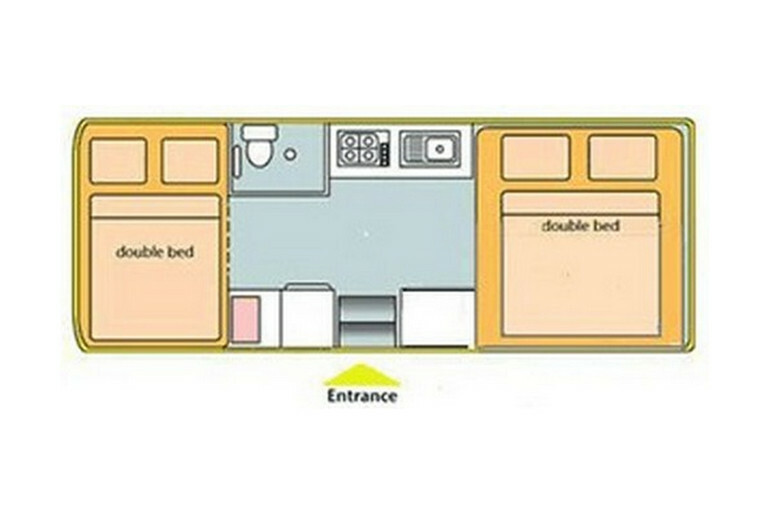 Sleeping configuration: 1 double bed 2.00 x 1.90m, 1 double bed 1.90 x 1.24m and 1 single bunk bed 1.75 x 0.63m. Bathroom facilities: Hot and cold pressurised water in shower cubicle with separate hand basin and amenity cabinet. Toilet: Located in cubicle with shower. 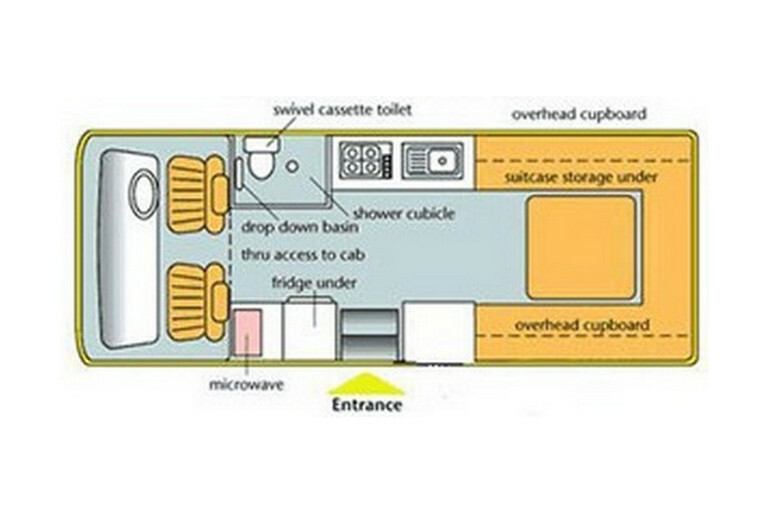 Flush toilet waste goes into cassette holding tank which is accessed from exterior compartment door. Toilet is full of chemicals on pick-up of vehicle, with a small complimentary supply. Toilet cassette holding tank must be empty and flushed out on drop-off. Fresh Water tank: Holding capacity of 100 litres. Grey Water tank: Holding tank for grey waste water generated from the shower and kitchen sink. Disposable at all camp grounds and dump sites. Holds 100 litres grey water. Grey water hose is in the step weld of the side door. Power Supply: 240V mains and 12V battery. The 240V mains power operates when the exterior power cable is plugged in at a camp ground. There are two 12V batteries, one for starting the engine, and the other for domestic 12V system. This system includes water pump and fridge. Batteries are recharged by engine alternator while driving and when connected to a powered site. Skylights: One in the rear of the living area and one in the bathroom. Ensure these are closed when driving. Internal access: Internal access between driver's cab and living area.